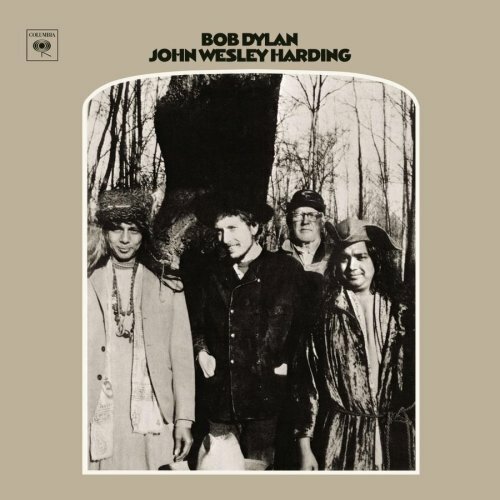 John Wesley Harding is the eighth studio album by American singer-songwriter Bob Dylan, released in December 1967 by Columbia Records. 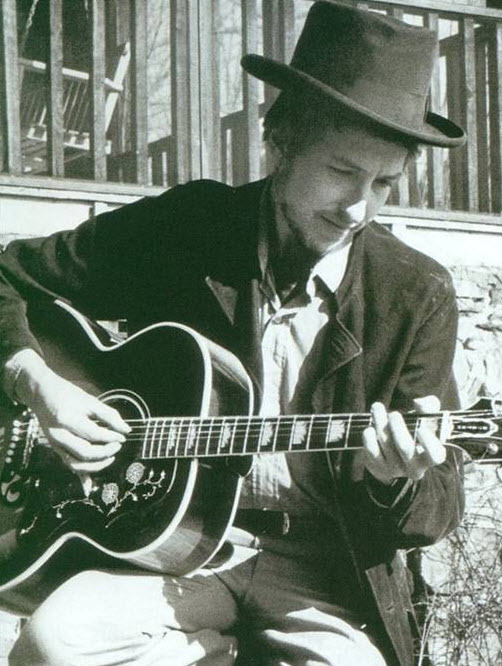 Produced by Bob Johnston, the album marked Dylan’s return to acoustic music and traditional roots, after three albums of electric rock music. John Wesley Harding shares many stylistic threads with, and was recorded around the same time as, the prolific series of home recording sessions with The Band, finally released in 1975 as The Basement Tapes. 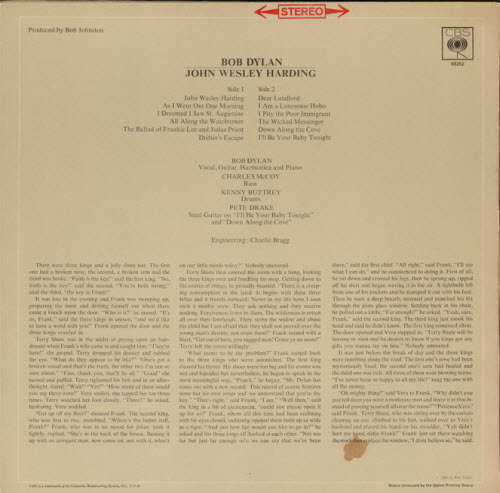 John Wesley Harding was exceptionally well received by critics and enjoyed solid sales, reaching #2 on the US charts and topping the UK charts. The commercial performance was considered remarkable considering that Dylan had kept Columbia from releasing the album with much promotion or publicity. Less than three months after its release, John Wesley Harding was certified gold by the RIAA. “All Along the Watchtower” became one of his most popular songs after it was covered by Jimi Hendrix the following year. 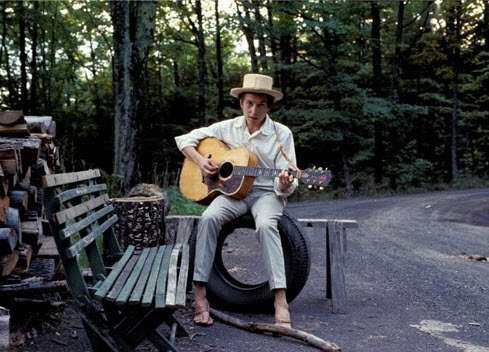 [about the album JWH]…..Dylan comes across like a man who has arisen from Armageddon unscathed but sobered, to walk across an allegorical American landscape of small, poor communities working a dusty, fierce terrain. The masterpieces within the masterpiece are ‘I Dreamed I Saw St. Augustine’, ‘All Along the Watchtower’ and ‘I Pity the Poor Immigrant’. ……. The music is again a brilliant electronic adaptation of rural blues and country and western sounds. A swaying harp picks out the title track, “John Wesley Harding.” A statement is made about the concept of everyday Good and Evil. Harding is Johnny Cash’s outlaw figure, “he was never known to hurt an honest man” — folk-hero of a different kind, John Wesley Harding — “a friend to the poor.” Call him Robin Hood if it means more to you. He was offering you “a helping” hand, and was this a man really to be hunted and punished? It really came out in January 2, 1968.
really, what are your sources?